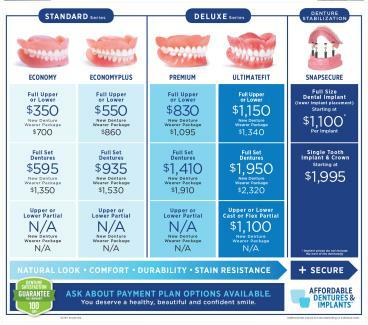 Sevierville, Tennessee Affordable Dentures & Implants offers several styles of full dentures, each with special features and advantages. It’s part of our mission to put transformation within reach. See below for more details, or call us at 865-657-7645 if you have a question about a particular style. Please fill out the form below to request an appointment. For immediate assistance, please call us at 865-657-7645.